This is perhaps one of the best ideas I've seen in a very long time. 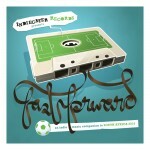 It's a collection of 32 songs - one for each team - about the World Cup, featuring some of Ireland's finest artists. Well it's about as close as we're going to get to the World Cup, especially when you look at the French tune, 'Irlande' from the Very Most. Some of the highlights for me have to be Grand Pocket Orchestra, Pearse McLoughlin, Hunter-Gatherer, and Someone Still Loves You Boris Yeltsin. There's some wonderful tunes on here, and it's an album you'll keep coming back to. You can stream it in full over at Indiecater Records' website, or else buy the whole damn thing for €5. A measly €5 for 32 songs!